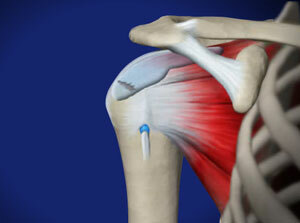 Rotator cuff injuries occur in the rotator cuff. This is a group of muscles and tendons that cover the head of the humerus and hold it in the shoulder socket. When rotator cuff tendons become damaged, the shoulder can become stiff, sore or lose mobility. Injuries are often caused by direct damage, such as a traumatic fall or repetitive overhead motions. It can also develop because of indirect causes such as impingement or shoulder imbalance. A rotator cuff tear is a common cause of pain and disability among adults. In 2013, almost 2 million people in the United States went to their doctors because of a rotator cuff problem. A torn rotator cuff will weaken your shoulder. This means that many daily activities, like combing your hair or getting dressed, may become painful and difficult to do. You may have other shoulder problems in addition to a rotator cuff tear, such as biceps tendon tears, osteoarthritis, bone spurs, or other soft tissue tears. During the operation, your surgeon may be able to take care of these problems, as well. After surgery, you will feel pain. This is a natural part of the healing process. Your doctor and nurses will work to reduce your pain, which can help you recover from surgery faster. Be aware that although opioids help relieve pain after surgery, they are a narcotic and can be addictive. Opioid dependency and overdose has become a critical public health issue. It is important to use opioids only as directed by your doctor. As soon as your pain begins to improve, stop taking opioids. Talk to your doctor if your pain has not begun to improve within a few weeks after your surgery. Immobilization. After surgery, therapy progresses in stages. 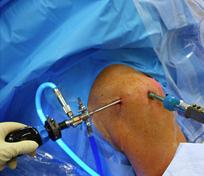 At first, the repair needs to be protected while the tendon heals. To keep your arm from moving, you will most likely use a sling and avoid using your arm for the first 4 to 6 weeks. How long you require a sling depends upon the severity of your injury.